The catch—and isn’t there always a catch?—is that the customers must purchase their Streak 5 tablet directly from Dell and must do so as they also purchase a laptop or desktop Dell computer system for $699 or more. Outside of this promotion an unlocked Dell Streak 5 would set you back $550, so your total savings would be $450—excellent if you were planning to purchase a Dell computer anyway and incentive enough to consider a Dell if you weren’t. Plus, there’s added savings and flexibility in getting an unlocked Streak 5. In the United States you can shop around for the best deal on 3G connectivity and pay as you go (as supposed to committing to a two-year service plan). Outside of the United States you can simply buy a local SIM card and pop that in. 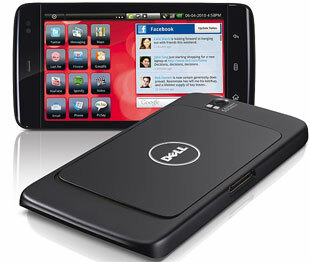 The Dell Streak 5 has a lot going for it, especially for travelers. It’s thin, light and—thanks in part to a 1 GHz Snapdragon processor—runs applications with impressive speed. The 5-megapixel camera/camcorder with dual LED flash is better than those on most smartphones. The Streak 5 runs the excellent Android 2.2 (Froyo) operating system and offers text-to-voice and turn-by-turn GPS navigation. There’s a microSD slot for expanding the memory up to 32 GB. 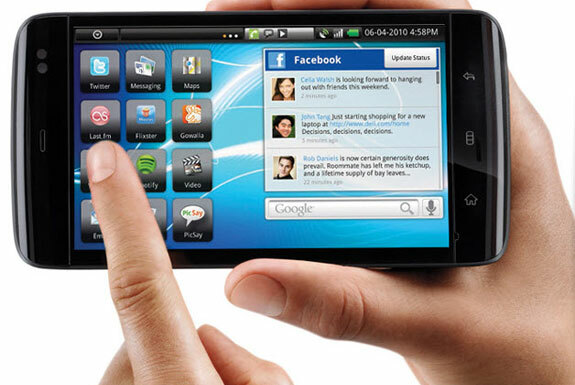 And, unlike some tablet computers, you can use the Streak 5 as a cell phone. The major downside of the Streak 5 is the battery—it’s powerful enough to get you through a typical day of moderate usage but not much else. Then again, most other tablets lack the battery life we’d like too (with the iPad as a notable exception). Most of the other complains about the Streak 5, such as the suboptimal touchscreen keyboard, were fixed with the latest OS upgrade. 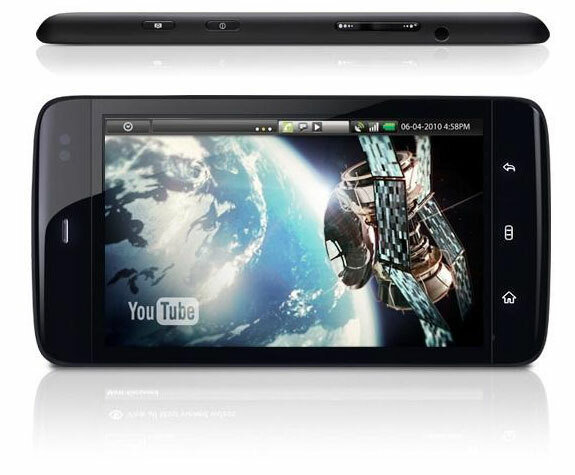 Archos 5 Internet Media Tablet – One of the few 5-inch tablets besides the Dell Streak 5 currently on the market (outside of China). Aside from the $99 Dell promotion mentioned above, the Archos 5 is less expensive unlocked than the Streak 5. The Anchos 5 is great for watching TV, listen to music and some basic internet tasks, but it runs an OS that’s much less robust than is Android. Unlocked Galaxy Tab – It’s functionally similar to the Streak 5 since both run Android 2.2. The Tab has a 7-inch screen so it isn’t as portable as the Streak 5; it’s camera/camcorder nearly aren’t as high quality. We prefer Tab’s bright screen more. We also think the Tab looks better than the Streak 5 (though that’s certainly subjective). In November 2011 I purchased the Dell Streak 5″ and I found it practical and not as cumbersome to carry like the 7″ or a 10″ + from other companies. The Dell Streak performed well during the first 3 months than there were intermittent reception faults on the data site. Mind you I live about 200 meters of the next transmission tower and there should be no difficulty with the reception. Optus franchise in Canberra sent the faulty Dell Streak to the manufacturer and after three weeks I got the item back with the excuse that the product was sent to the wrong service center and it had to be at least for 4 weeks again on the way to Dell for repair. However, in the meanwhile I purchased out a far cheaper 7″ Optus Tab made by ZTE a product that does not fail by showing videos and playing MP3 over the net something that the Dell Streak does not perform correctly. I will try to get either another factory new Dell Streak or I give the item back and get another product. Be aware that the Dell service is miserable and that they are only interested in selling you something but disinterested in a quick and efficient service. I would think twice before investing in this brand.